John R. Kosmal comes to Allied Insurance Managers from our current partner Cincinnati Insurance Company. He brings to the table more than 9 years of insurance knowledge and expertise. 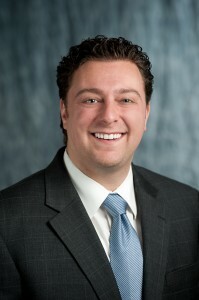 Returning to the agency side, and to Michigan in 2010, John grew up in Clinton Twp. MI and presently resides in the Rochester community. He has ties to The Rochester Chamber of Commerce as an Ambassador and is part of the Rochester II Local Business Network. His higher education was completed in Kalamazoo where John graduated from Western Michigan University with a bachelor’s degree in Business Sales and Marketing. He prides himself on being a problem solver and believes knowledge is power. This currently enables him to negotiate with the top rated insurance companies Allied Insurance Managers, Inc. has to offer. John is looking for business owners in need of a professional risk assessment. You can count on him to take advantage of safety initiatives using standard loss control techniques and to offer other risk management tools. John’s biggest attribute is bringing people together to formulate innovative ideas in each respected business segment. Family and friends are most important to John. When time permits he enjoys golf, bowling, fishing, traveling, and good food.